This is last part of WordPress tutorial for Beginners. In this lesson we will cover Themes. After this chapter you will have idea of all features, terms and terminologies and configuration options provided by WordPress. In case you missed previous chapters you can get list of all chapters and what they cover in below link. Most website you visit on Internet have different look. They will have different color or layout. Every website owner tries to differentiate it’s website. They try to make it standout. It is designed as per their vision. The look and feel of a WordPress website is determined by Themes. Themes help you change your website appearance. If there was no Theme then all WordPress sites would look the same. Do you think any one would be interested in using WordPress then? The answer we know is No. Every one has different taste. They design their site as per their need. This design and appearance aspect of site is taken care of by themes. Featured – List of themes showcased by WordPress. The list changes daily basis. Using any one of above method you can get list of themes. On the list displayed if you click on Install button then that theme will be installed on your site. Behind the scenes WordPress downloads the theme from repository to your server and installs it. Above method has one major limitation. It does not allow you to install themes not present on WordPress.org. You should follow this second method to install themes not present on WordPress.org.Remember on Add New theme page we had Upload button. In this method we will use Upload button. You can upload themes you have in zip format. After you have selected theme file to upload you can click on Install Now button. This will upload the theme to your server and install the theme. In this method we manually perform the task of theme installation. In theme installation process WordPress copies theme file to your server. It then unzips the theme files. In third method we perform the task of uploading and unzipping the theme file manually. 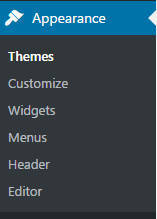 You can see list of themes installed by clicking Themes option under Appearance menu. Themes are very important part of your website. They define how visitors see content of your website. It is recommended to select good themes. Wrong theme selection will hurt your site badly. Wrong theme are themes which are poorly coded, are insecure, contains malicious codes. What to do after installing a theme? Theme installation means you have added the theme to your site. But it is not used by your site. Visitors will still see the default theme. You will have to activate the newly installed theme. Once you activate the theme visitors will be able to see new layout. If you click on Themes option under Appearance menu you can see list of themes. There are two buttons for each non activated theme Activate and Live Preview. Live Preview will show your website content using that theme. Visitors will still see the old theme. Once you activate the theme it will be visible to Visitors. So you can use Live preview option to see how your website looks in new theme before making is visible to visitors. You can browse any page or post of you site to see how your site looks after changing the theme. You can then customize your theme as per your need. Each theme offers some common settings. We will discuss those common settings and terms in next sections. How to customize my theme? With time WordPress made it easier to customize a theme. In this section we will cover non technical theme modification. For technical discussion on themes and modifying the same we will write separate course. Modifying code of theme is involved topic and requires basic understanding of PHP and CSS. For non technical user there is option Customize under Appearance menu. You can customize most options of a theme using Customizer. Some themes may have options specific to them. You need to red Theme documentation for details on those options. WordPress also provides some elements which help you control display of your theme. Two popular items supported by most themes are Menu and Widget. Widgets are display items . Most of the sites use them. For example you might be interested to showcase your recent articles. This is basic item most website owners may be interested in. Another such use case is search box. These common important display items are called Widgets. You can see list of default WordPress widgets under Widgets option of Appearance Menu. You can drag and drop widgets to Sidebars or Footer or Header. Sidebar or Footer or Header or other similar names are containers where you can drop your widgets. Once you drop your widgets on Sidebar then it is visible to Visitors. The place where the sidebar will be located on your page will be decided by theme. So once you place a widget on your website you can browse it to see the look and feel. Menu is collection of most important links of your site. They help users to navigate across your site. You should carefully design your Menu. 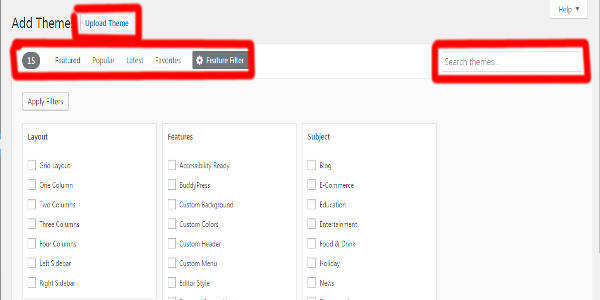 WordPress makes it easier to create a Menu. This site also has Menu as you might have noticed. Most of the websites have a Menu. Enter a Menu name and click on Create Menu button. You can name your Menu anything. But it is better to use meaningful names. For example if your themes have multiple menu places then you can name your menu matching their location. This place will show Menu content. IF you add a page or post to menu it will show up here. 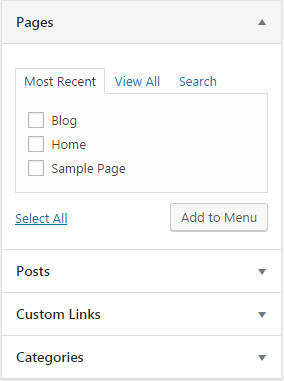 You can add pages,posts or custom links or categories to Menu using Add to menu button as shown in below image. 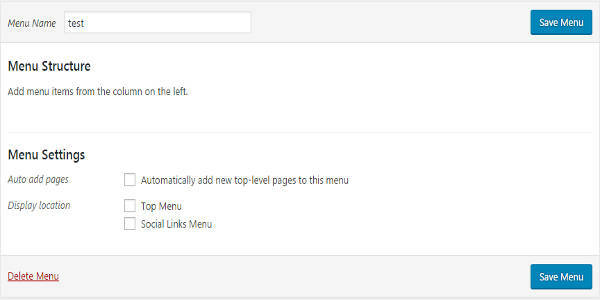 With support to Custom links you can add any link to your Menu. You just have to add URL and Text for that URL. Note you can create more than one menu. WordPress does not limit you to create only one or two menu. Menu settings have two important options. One is Automatically add top level new pages to this menu. If you select this option all new pages will be added to menu. I do not recommend using this option. You may set it and forget. Then if you publish 10 pages they all will be part of Menu. Second option depends on your Theme. If your theme allows you to display Menu in more than one place then you will see multiple locations here. You can add menu to those locations by selecting the Display location option. Note until and unless you have set display location Menu will not be visible to Visitors. So after creating Menu it is important to set it’s display location. You can set it on this page or in Customize option. Both will work fine. With this we came to end of our WordPress tutorial for Beginners. This eight part series gave you details of every option WordPress provides. It also provided you understanding of terms and terminologies of WordPress. Now that you understand the framework and practiced it in local. It is now time to create your first awesome website with WordPress. Creating a live website is bit different than creating a local website. Local website is best for understanding it. You can continue reading next course on How to setup WordPress site from scratch?